We all know healthcare is changing, but one thing remains the same…the need to communicate effectively. 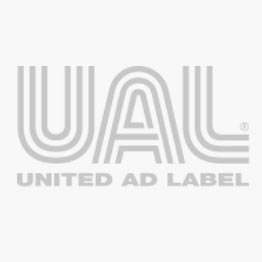 Whether it’s in a critical care hospital, ambulatory surgery center, doctor’s office or lab, UAL labels are ready to help. It’s what we’ve been doing since 1958. Our extensive line of more than 4000 stock products includes patient ID wristbands, barcode printer labels, IV line and medication labels, nursing communication labels, and more. We also offer custom labels if the stock options don’t meet your needs. Our extensive knowledge of materials enables each label to be specifically designed to handle the rigors of a healthcare environment and work in sync with the new technologies that are part of a modern healthcare system. Custom or ready-to-ship, all are designed to help you improve efficiency, productivity, and patient safety. 6-label Anesthesia Sheet, 1-1/2" x 1/2"
70% ETHANANOL, 3" x 1-1/8"